The International Studies Club at UCA hosted the 6th annual Spring Cultural Event in the Student Center on Thursday, March 9, 2017. The country theme of this year’s cultural event was Ethiopia. 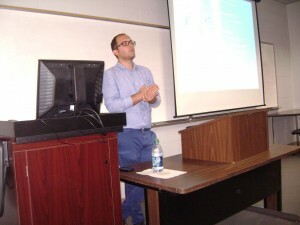 Dr. Gizachew Tiruneh, Associate Professor of Political Science at UCA and the I.S. Club faculty adviser, welcomed the more than 50 faculty members and students who participated in the event, including videos of Ethiopian dances and Ethiopian food tasting. 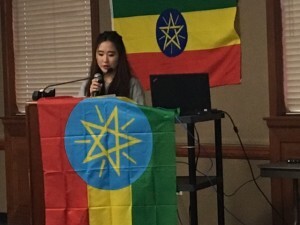 Ashley Park, the club’s president in 2016-2017, discussed the history of Ethiopia during the event. 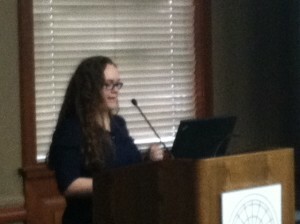 Ashley Park, President of the UCA International Studies Club, speaking during the 2017 Spring Cultural Event. 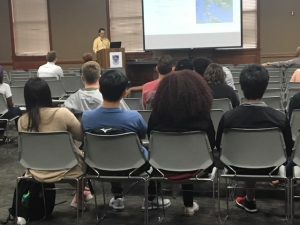 The International Studies Club at UCA, advised by Dr. Gizachew Tiruneh in the Department of Political Science, hosted the 5th annual Spring Cultural Event in the Student Center on Tuesday, March 1, 2017. 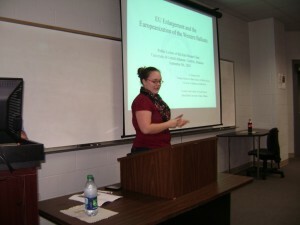 Each year’s cultural event focuses on a particular country theme. 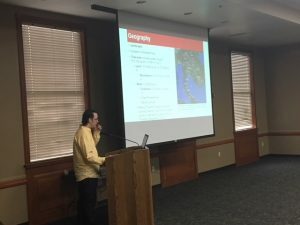 Previous cultural events sponsored by the International Studies Club have focused on Tanzania, Turkey, Honduras, and Russia. 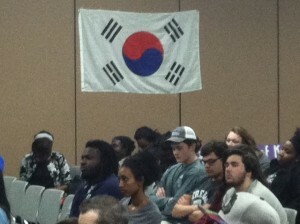 The country theme of this year’s cultural event was South Korea. 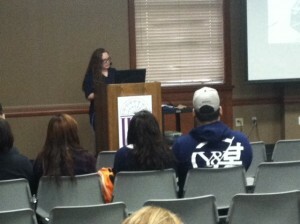 Kayla Close, the club’s president, addressed the more than 50 UCA students and faculty who participated in the event. 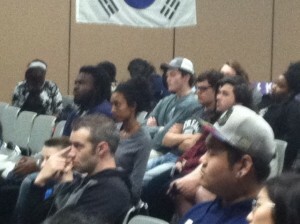 The participants included members of the Korean Club at UCA. The event include music videos by well-known South Korean singers and Korea food. As a part of the “2014 Fall Scholarly Series” sponsored by the International Studies Club at UCA, Dr. Dorian Jano, Visiting Scholar at the Clinton School of Public Service in Little Rock, spoke on the topic, “European Union Enlargement and Europeanization of the Western Balkans,” on September 9, 2014. The club’s officers in 2014-2015 were Kayla Close (President), Ina Tregubova (Vice President), Ashley Park (Secretary), Autumn Redell (Treasurer), and Stevie Massey (Membership Chairperson). 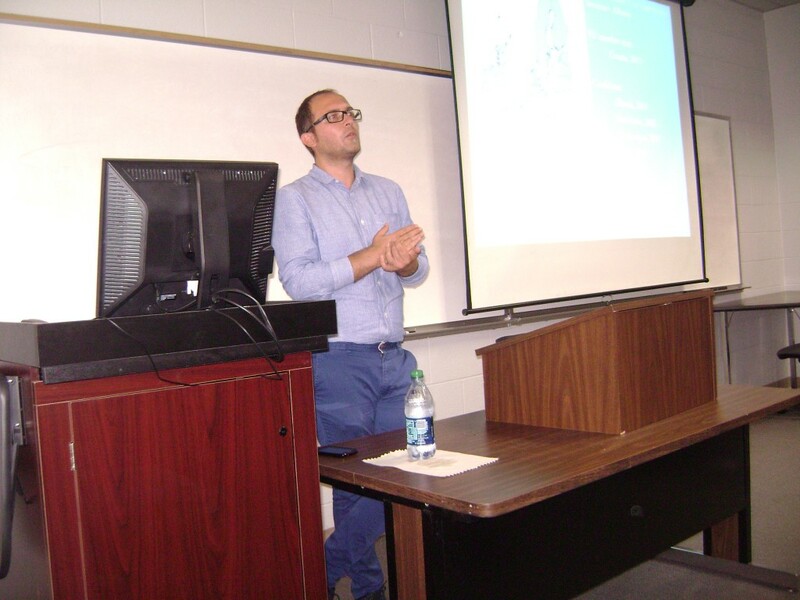 Dr. Gizachew Tiruneh, Associate Professor in the UCA Department of Political Science, served as Faculty Adviser for the International Studies Club.